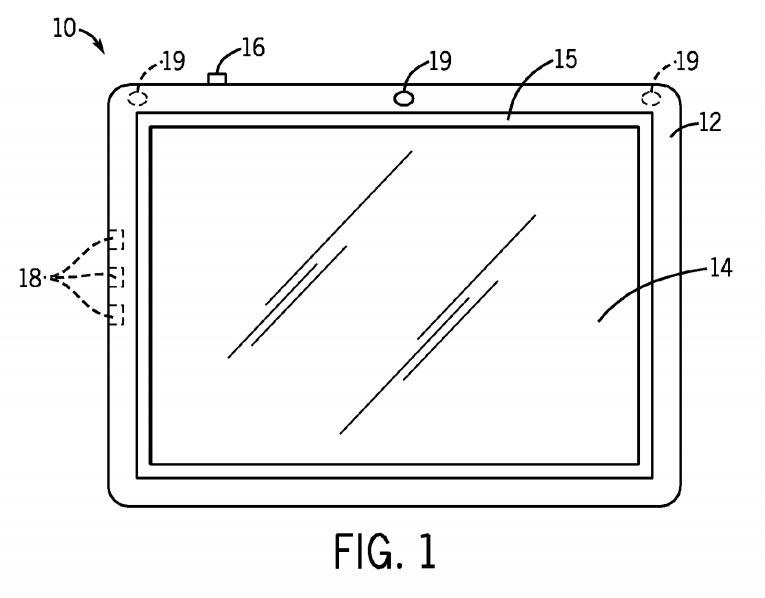 As illustrated in the drawings (below) accompanying the patent, processors, cameras, sensors, input/output ports, and other components of such a device would reside in the bezel, allowing all or part of the display to be transparent. 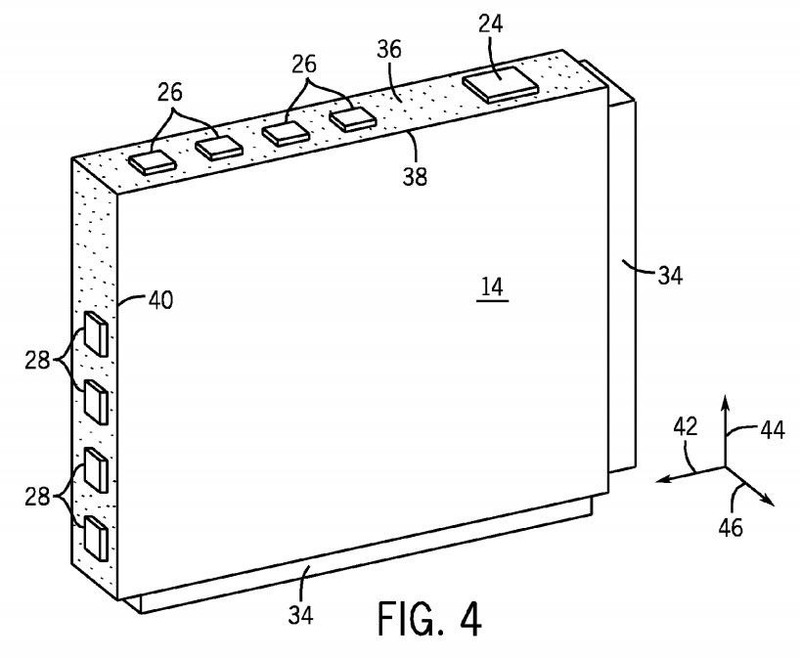 Invented by Aleksandar Pance, the display could be used in Macs, MacBooks, iPhones, or iPads, according to the patent. Such a device would enable a user to see objects on the other side of the device with a user interface or other images overlaid on that view. In addition, the device could have a display on either side so that interface and images can be mirrored to users on either side. 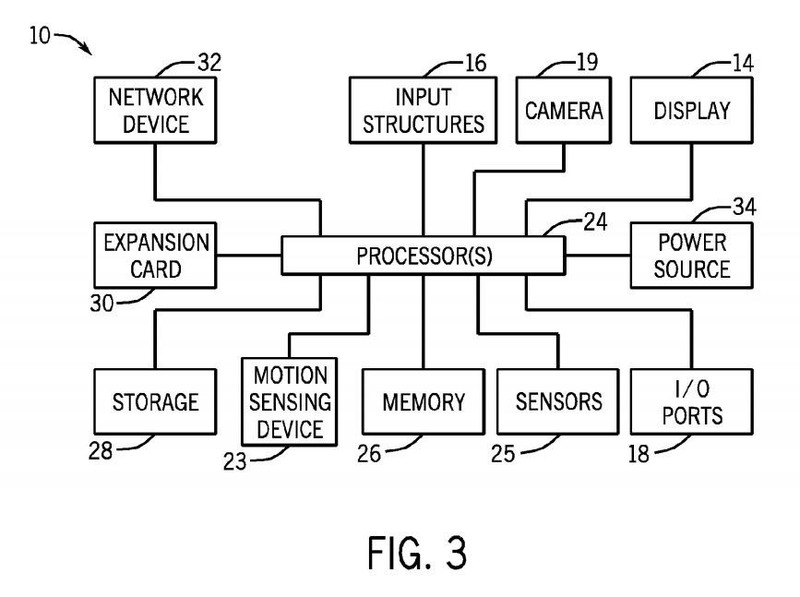 Alternately, according to the patent information, the device could also house active and passive displays, enabling the processor to generate images on either screen based on defined resolution thresholds. 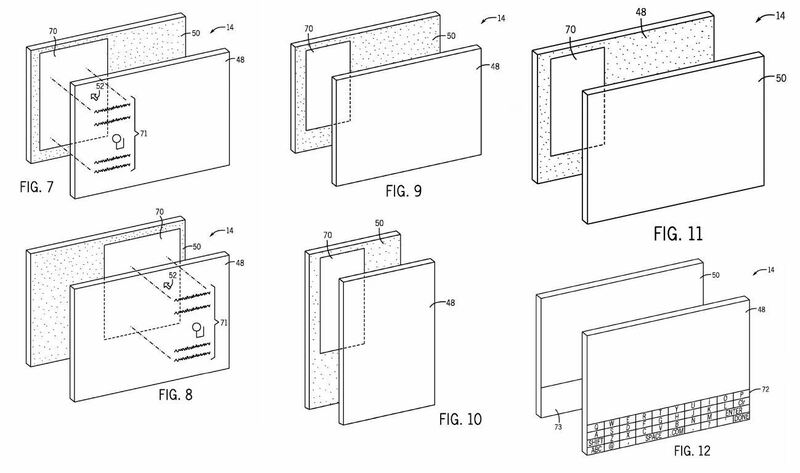 In versions of this concept, where only part of the display is transparent, the patent outlines the potential for not only generating the transparent display and any overlays but also sensing user input for changing the location of the transparent window. In another patent (US 9,829,988), Apple describes a system for tracking hand gestures for input in a virtual 3D interface using depth sensors. Invented by Micha Galor, Jonathan Pokrass, and Amir Hoffnung, this patent comes to Apple courtesy of its acquisition of PrimeSense. Accompanying drawings show a camera (resembling a Kinect in one instance) atop a monitor, with a user gesturing in the open space between himself and the computer. 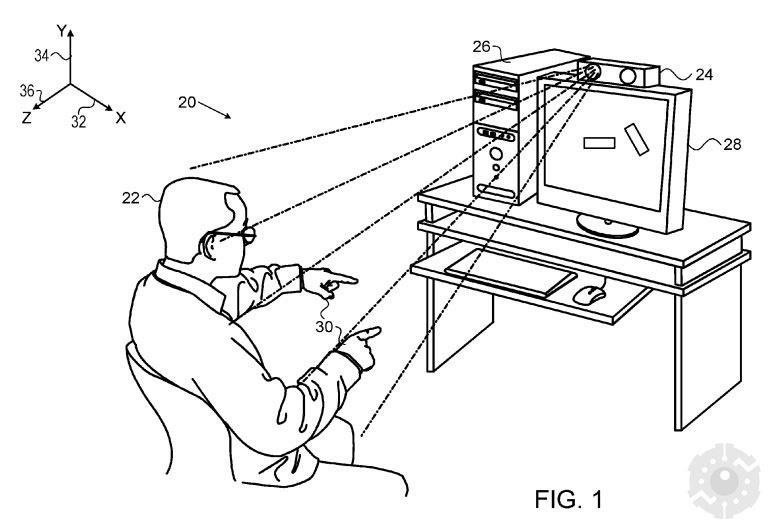 However, the patent isn't specifically limited to interaction with virtual objects (such as a method that would emulate the input methods used for the HoloLens and Meta 2). As with any patent, the mere existence of the filings isn't a guarantee that Apple has any real plans to bring any of this stuff to market. Nevertheless, with these patents, plus Apple's rumored plans for depth sensor-equipped iPhones and AR headsets, tomorrow's lineup of Apple devices designed to cater to AR computing could look radically different from what we have today. When Apple CEO Tim Cook said AR "is going to change everything," he really meant it.